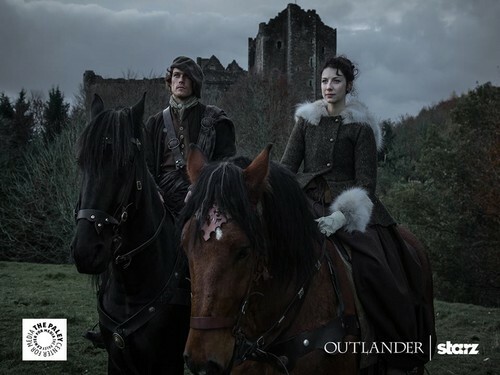 Outlander Season 1 Promotional Picture. . HD Wallpaper and background images in the Outlander la serie club tagged: photo outlander season 1 jaime fraser claire beauchamp sam heughan caitriona balfe. This Outlander la serie photo contains wrangler di cavallo, wrangler, cavallo wrangler, ippovia, horse trail, cavallo da corsa, and bangtail.